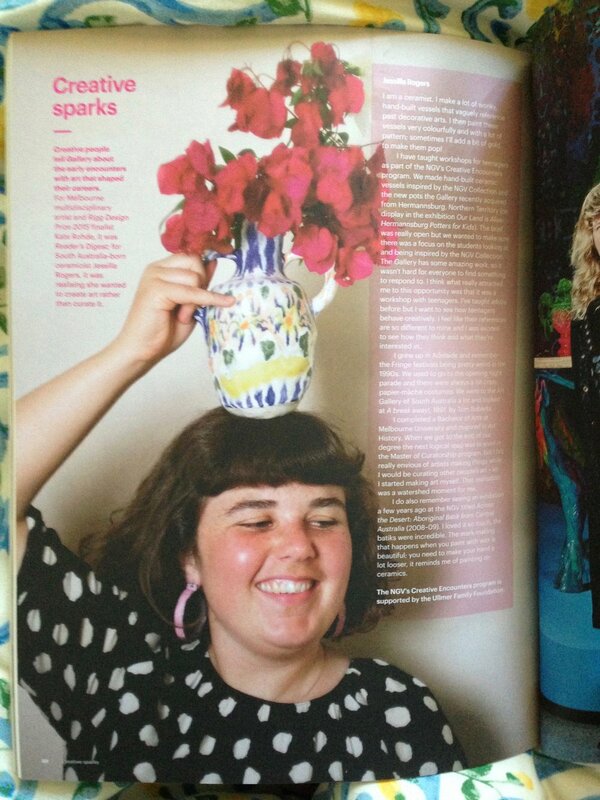 Jessilla Rogers is a Melbourne based ceramicist and recently graduated high school art teacher. She has formally studied ceramics at RMIT and prior studied Art History at the University of Melbourne. Most recently Jessilla has received a Masters of Teaching (Secondary) and is now a qualified Visual Art and Media Studies teacher. As I embark on this next stage as a teacher, I seek to share my interest and enthusiasm in the arts and my knowledge and skills with others. I aim to be the mentors I have had, to facilitate others curiosity, to encourage them to explore, experiment and to guided their interest in making, creating and discovering. I believe in learning through experimentation and enjoy the process as much as the outcome. I firmly believe we build knowledge through inquiry and consider an understanding of art history invaluable to situate understanding and guide practice. I view learning as a journey without a final destination and I hope to instil in my students an interest in learning for life. I hope I can encourage the students I teach to create, to reflect and to be informed by what they have made before. I hope to promote confidence, for my students to believe in themselves and trust their instinct and aesthetic. Finally, I hope my classroom is site of encouragement, freedom, relief, collaboration and inspiration.